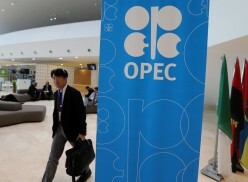 After the OPEC+ coalition decided against taking further action to increase oil production at its meeting in Algiers on September 23, Brent crude oil breached $80 per barrel, rising its highest level since 2014. A raft of new oil price forecasts from major investment banks have taken on an increasingly bullish tinge, with price estimates revised significantly up. While there is an endless array of variables that determine the price of oil, the overarching tension over the next few months will come down to how much supply will be lost from Iran, and to what degree OPEC+ can offset those declines. The decline in oil supply from Iran has exceeded even the most aggressive forecasts from earlier this year. According to OPEC’s secondary sources data, Iran’s oil production plunged from 3.823 million barrels per day (Mbd) in April to just 3.584 Mbd as of August, a drop of about 240,000 barrels per day (b/d). The declines likely continued into September and could even accelerate as the deadline for U.S. sanctions approaches. Moreover, that figure obscures the fact that Iran has once again begun to store oil at sea as it struggles to find buyers. As a result, actual export levels are likely dropping faster than total production. Goldman Sachs estimates that Iran could see exports fall by a substantial 1.4 Mbd. U.S. sanctions are biting harder than expected, convincing major buyers of Iranian oil to slash their purchases. “The decline in Iran production has been swift, with loadings showing a 0.65 mb/d decline since April across destinations, with negligible exports to Europe, Japan and Korea and shipments to both India and China down as well,” Goldman Sachs wrote in a note on September 25. According to Bloomberg, major refiners in India are cutting their purchases of Iranian oil, with almost no cargoes lined up for November delivery. The loss of the Indian market will be particularly painful for Iran and it has the potential to lead to an even steeper decline in global supply. Overall, Goldman Sachs estimates that Iran could see exports fall by a substantial 1.4 Mbd. As the losses in Iran mount, the oil market is expected to tighten significantly. “[T]he likelihood of an oil spike and crash scenario akin to the one observed in 2008 has increased,” Bank of America Merrill Lynch said in a September 21 note. The investment bank cited several reasons for the potential supply crunch, including lower-than-expected growth from U.S. shale due to pipeline bottlenecks and pending regulations in the shipping industry that could disrupt the refined product market. But the loss of supply from Iran stood out as one of the principal causes for concern. Can Saudi Arabia satisfy the market? President Trump’s call came in response to the inaction in Algiers, and it is the latest in a campaign to pressure OPEC – with a particular focus on Saudi Arabia – to increase production. Indeed, with U.S. sanctions cutting into Iranian supply, the vagaries of the oil market over the next few months will be largely characterized by decisions made in Riyadh. The calculus is complex, but Saudi officials have more to consider than just the demands of Washington. Indeed, with U.S. sanctions cutting into Iranian supply, the vagaries of the oil market over the next few months will be largely characterized by decisions made in Riyadh. Al-Falih noted that some of Saudi Aramco’s customers have been requesting more oil above and beyond their contractual commitments, likely in response to dwindling shipments from Iran. While al-Falih struck a confident tone on meeting any buyer’s needs, the Wall Street Journal reported that Saudi Arabia is running low on its Arab light supply. One buyer told the WSJ that it was offered medium or heavy barrels instead of Arab light. Presumably, Saudi Arabia could ramp up production to meet higher demand as Iranian supply falls, calling upon its sizable load of spare capacity. Saudi officials have repeatedly stated that they have the capacity to produce around 12 Mbd, implying around 1.5 Mbd of spare capacity. However, Saudi Arabia has never really produced above 10.6 Mbd for any lengthy period of time. The rapidly declining oil exports from Iran, combined with ongoing losses from Venezuela, could put Saudi Arabia’s spare capacity to the test. One unnamed Saudi official told the WSJ that producing at 11 Mbd could be difficult, let alone 12 Mbd. Producing “11 million is already a stretch, even for just a few months,” the official said. The flip side is that even as the market questions Saudi Arabia’s ability to stave off a supply crunch, Saudi officials are worried about producing too much and sparking another downturn in prices. OPEC expects strong production growth from U.S. shale and a slowdown in demand by early next year. Increasing production ahead of a lull in the oil market could translate into significant builds in inventories in the first quarter of 2019 and a decline in prices – something that Saudi Arabia surely wants to avoid. For now, the course of action is to wait and monitor the market. U.S. sanctions take effect in November, so by OPEC’s December meeting it will have a clearer sense of how much the supply losses from Iran will impact the market.